Blue skies, sunshine and mountain views can only mean one thing.... ADVENTURE. Get outside and embrace the warmth and thrill of the season. You’ve come to the right place if you’re looking for an adventure. Choose from exploring the Great Outdoors by foot or flying through the trees. The Greater Lincoln area is home to an abundance of fun activities for the whole family. Let the RiverWalk be your adventure home base for the summer! 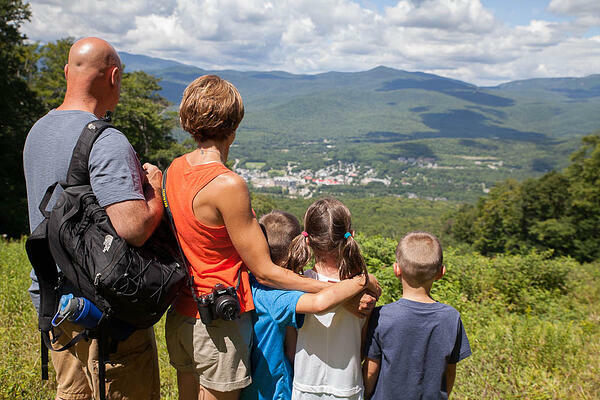 Discover the beauty of the White Mountains from the treetops. Alpine Adventures, New England’s first canopy tour, offers three zipline courses on Barron Mountain. The original Tree Top Canopy Tour consists of six ziplines ranging from 250-1,000 feet long and 80 feet above the ground. If you’re not afraid of height, enjoy the spectacular views from the Skyrider Tour. For the ultimate adrenaline rush, speed through the sky at 60 mph on the Super Skyrider Tour. Loon Mountain Adventure Center also has a zipline spanning over 700 feet across the Pemigewasset River. The White Mountains are one of the best places on the East Coast for hiking. With several trailheads close to the RiverWalk Resort, lace up your hiking boots and hit the trails. Lincoln Woods Trail is always a local favorite. For those looking for a little challenge, Franconia Ridge Loop is a strenuous 8.6-mile loop trail offering incredible views of Franconia Notch and the surrounding mountains. Summer in the White Mountains can get steamy. Cool off in one of the two pools at the RiverWalk Resort. With views of Loon Mountain, the upper deck and lagoon pool are perfect for the whole family. Both pools are heated so you can enjoy them early or late in the summer as you’d like! 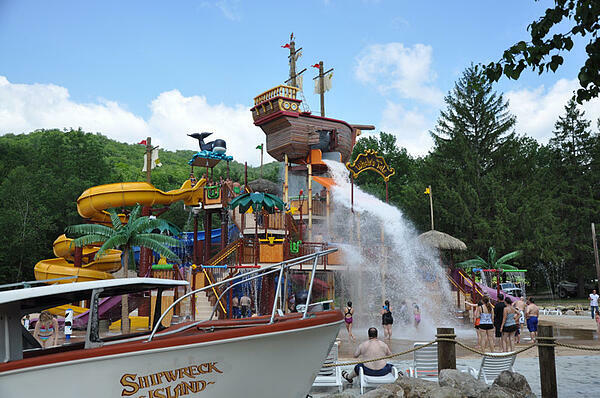 For even more splish, splash fun, head over to Whale’s Tale Waterpark and speed through the many waterslides or splash in the kiddie pool. Lady’s Bathtub is a great natural swimming hole in the east branch of the Pemigewasset River near the Riverfront Condominium on West Branch Road. Discover the backcountry of Barron Mountain with Alpine Adventures by buckling up in one of the many seats in the 6-wheel drive Swiss army transport vehicle called Pinzgauers. These year-round vehicles are fun in the snow, mud, or fallen leaves. 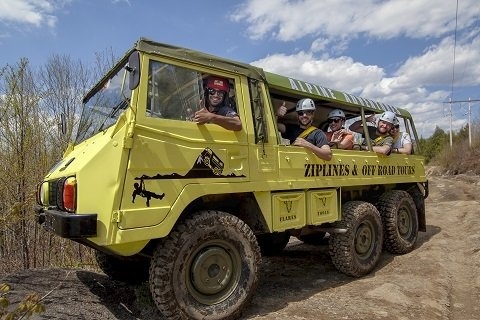 Accommodating up to 11 guests, Alpine Adventures offers off road tours throughout the year for the ultimate adventure. It’s almost like riding a low-speed rollercoaster through the White Mountains. If you’re lucky, you may even spot a moose! Practice your swing at Hobo Hills Adventure Golf! Part of the Pirate Coves mini golf network, Hobo Hills is an 18-hole adventure golf course offering beautiful views of the surrounding mountains. 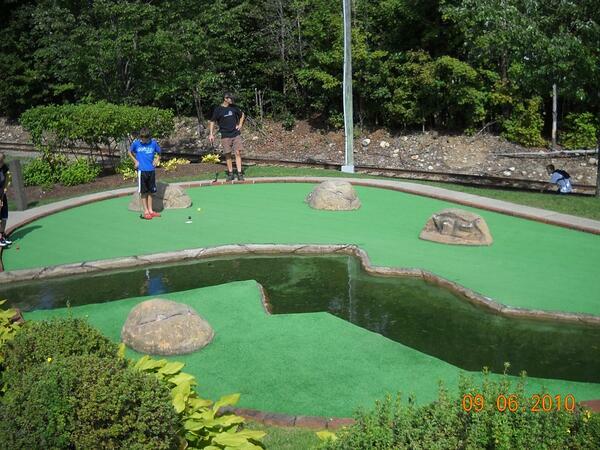 With three acres of greens, the course will challenge your mini golf skills through caves and waterfalls. After a round of golf, hop on the Hobo Railroad for a trip along the scenic Pemigewasset River.